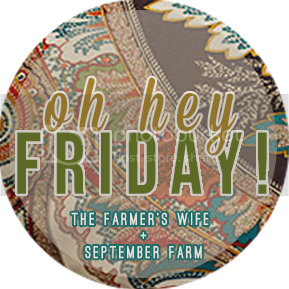 Hello, sweet friends! I'm baaaack! I can't say that I'm thrilled that our vacation is over, but I am delighted to be here in my lit'l nook of the bloggy world sharing with you once again! I hope this first week of November has been beautiful for you. Would you like to see some snippets from mine? Alrighty then, Five Loves time! Weren't my girlies too cute in their costumes?! Princess dressed as a princess, naturally! ;) She went to Mickey's Not So Scary Halloween party at Magic Kingdom as Snow White, and back home passed out treats at her grandparents' house as Princess Peach (from Super Mario Brothers). Little One couldn't get enough of being Nerd Minnie Mouse! The only change in her costume was adding an extra layer underneath while celebrating here in the chillier Midwest. 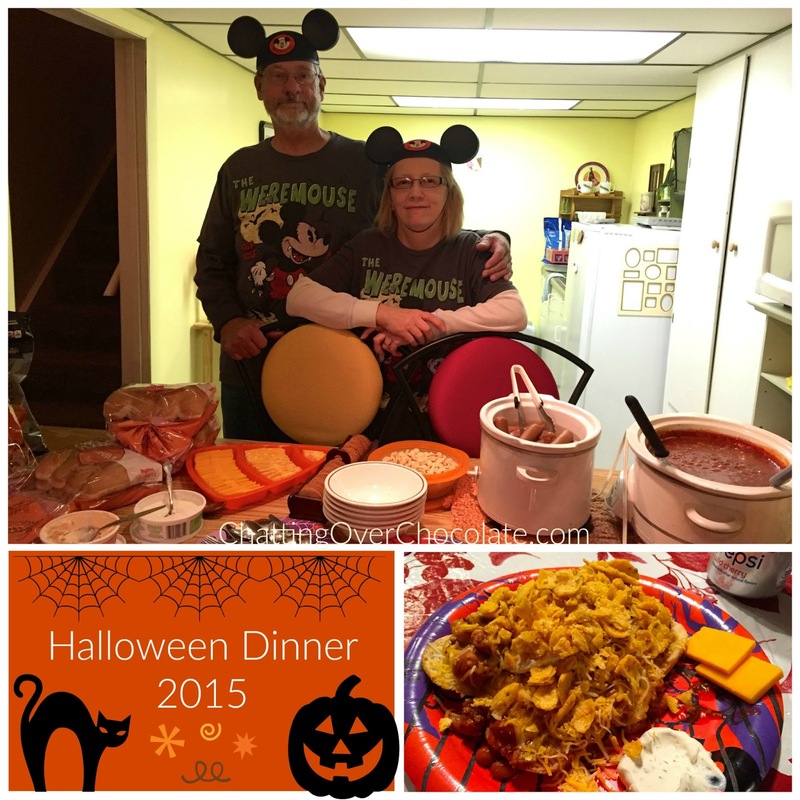 Before heading out for the evening we gathered with family at my parents' place for our traditional Halloween dinner of chili/chili cheese dogs with all the fixings. They've been hosting family dinner parties with this fun menu for over 30 years now, and we love it! After filling up on the yumminess Jas & I took Little One out for some loot. She ended up collecting close to 7 whopping pounds of candy while trick-or-treating! We are fully stocked on sweets that is for sure! 2. Goodbye Halloween ... Hello Christmas! I took advantage of an awesome offer at Target.com this week too! Want the deets? The coupon code: BESTGIFT (valid through 11/7/2015) takes 25% off toys, sports or arts and crafts! 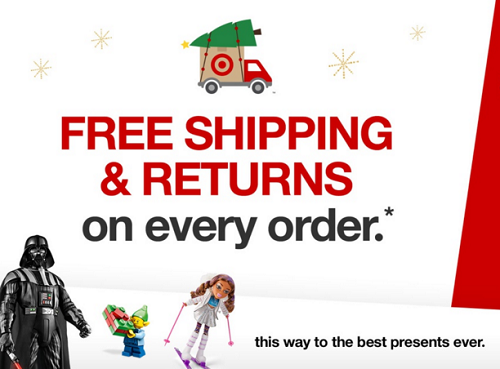 Pair that with their FREE shipping (no minimum purchase required) and you've got quite a deal on your hands! Both of these codes will take the discount off of sale prices too which I must admit made my bargain loving heart skip a beat. :) I can hardly wait to get the gifts I've ordered all wrapped up and tucked beneath the twinkling lights of our tree later this month! 4. Our *NEW* Instagram account! This week Jason and I started a new IG account for our family Disney YouTube channel, Eat, Sleep, Dis, Repeat! You can find it here: Eat, Sleep, Dis, Repeat on Insta! I'd be over the moon to see your name pop up from that lit'l heart bubble if you'd like to follow along! Looking forward to sharing plenty of pixie dusted pics with you all there! 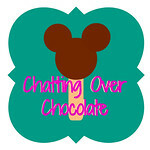 *I will also continue sharing on my personal/blog Instagram account: chattingoverchocolate_brenda. Would love to connect with you there as well! 5. MORE Disney Goodness to Come! In case you may have missed it, we just got back from our favorite place on the planet, Walt Disney World! 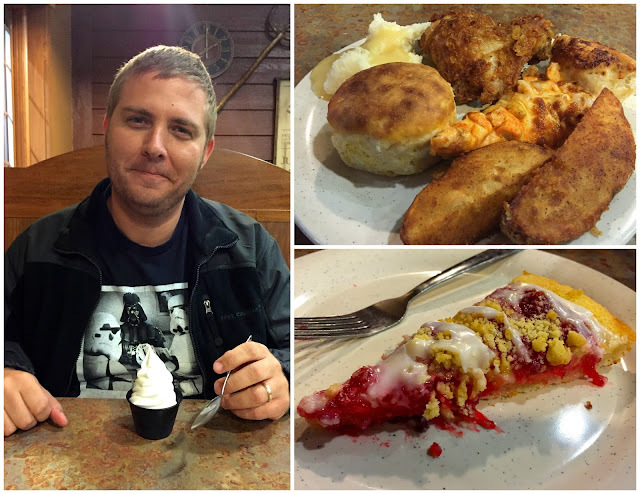 This trip was filled with many firsts for my family. 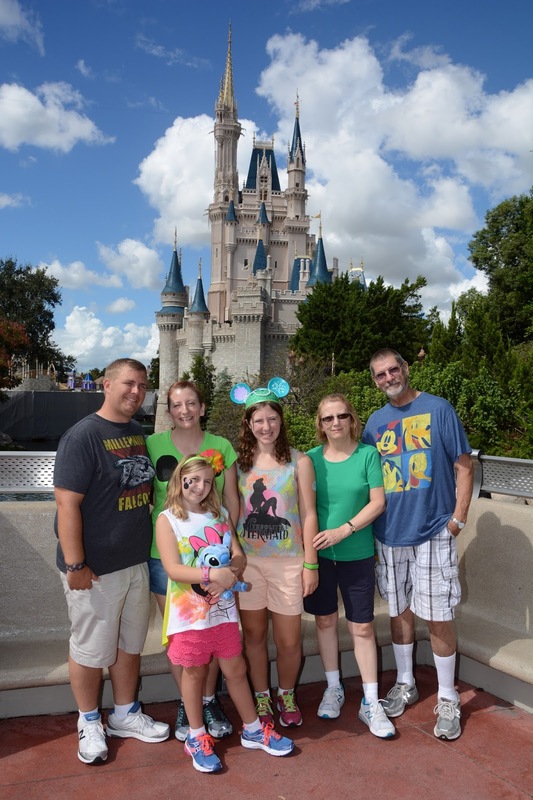 It was our first trip as Disney Vacation Club members (my biggest Disney dream come true)! My parents joined us, making it our first WDW vacay with three generations. We celebrated both Little One's birthday and (an early) Halloween at Mickey's Not So Scary Halloween party! The entire trip was packed with magical memories and I'm really looking forward to sharing them with you all in the weeks and months to come! If you haven't already, I invite you to subscribe (you'll find all those lovely links below) so you won't miss a single bit of the magic ahead! Thanks so much for stopping by today, friends! It's such a treat to have you here! Wishing you a lovely upcoming weekend! I am feeling the Christmas spirit earlier this year--thanks for the deals heads up! Stopped by from H5FF! Have a great day!! YES, those girlies are so precious...great costumes!! Your family photo is adorable and oh yeah 25% off!!! Glad to have you back sweet Brenda!!! 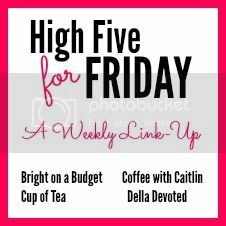 I hope your day and weekend is magnificent!!! What a fun Halloween! I am SO excited for Christmas now that it is over! Yay!! Dates are always the best :) Have a wonderful weekend! Oh my goodness, I haven't even started thinking about Christmas shopping yet!! Love all your Disney pics! Looks like you guys had a great time! Our first Disney trip with the kids was with one set of grandparents. Wonderful family memories! I am heading over now to follow your Disney IG account! Have a great weekend! Welcome back!! So thrilled to see you posting again! I love all the pictures of Disney. So jealous!! I loved Mickey's Not so Scary Halloween Party, it was so much fun!! Wow, that looks like such a fun trip! I've only been to Disney World once, but they were gearing up for Halloween at the time, coincidentally! Love your girls' costumes! :) Have a great weekend! Such a fun Halloween! I still haven't been to Mickey's Not So Scary Halloween Party, next time we have annual passes I need to go for sure! Welcome back!! Can't wait to read even more about your trip. I love the girls' costumes :) Can't wait to go follow your new Insta! Will you be keeping your other one, too? MNSSHP is my FAVORITE special event of the year! (Well... that and Food & Wine!) I'm a former cast member, so I love hearing about Disney adventures!! Welcome back! Glad you had a great trip! Now you're making me wish I went to Mickey's Not So Scary Halloween Party while I was there. I've never been but we opted for Food and Wine instead! I'm so glad that y'all had a blast at Disney!!! And I'm following your new account on IG :) Can't wait to see more pics. Loved your daughter's costumes. Fun date night!! I hope you have a great weekend, Brenda! It's SO great to see such beautiful faces in the blogosphere once again! 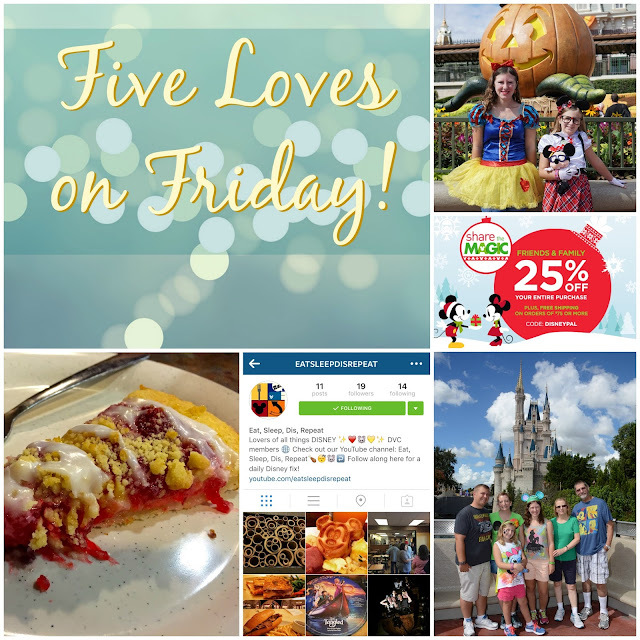 <3 Five Loves on Friday is definitely one of MY faves of the week! :) Thank you for sharing the FUN!!!! I was following your Instagram vacation in FL. So happy it went well and you enjoyed yourself. I bet you wish you were back. Happy November and happy to see you back here. She's baaaaaaack! Missed ya on the blog, but SO GLAD that you finally have an Instagram account. I loved being able to see pics from your trip and I'm sure you were happy to share just once and not having to send multiple emails. 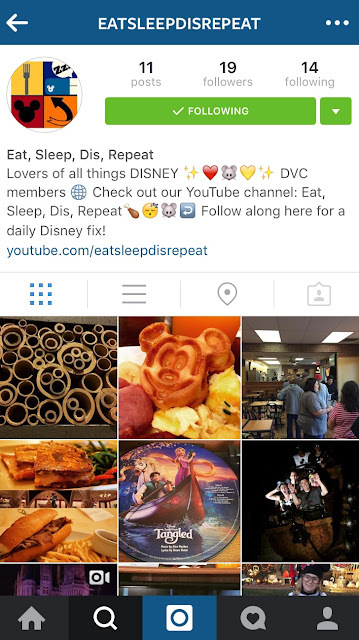 lol Glad about your Eat Sleep Dis Repeat Instagram account too! Can't wait for more pics & videos! Hugs! Your daughter's costumes are awesome! I love the idea of a not so scary Halloween party! That would be right up my alley. Have a wonderful weekend! Welcome back:) I'm following the new IG as well. It looks like you all had such a wonderful time on vacation. Your Halloween tradition looks like a lot of fun too!!! And yay for discounts! This month is going to be chock full of them. I went outlet shopping yesterday and racked up in the Gap Factory store and Kate Spade store. --I would LOVE to do Disney for Halloween! Looks like so much fun! And yes, your kiddos looked adorable! --I also do chili for Halloween (although I only started this tradition 3 or 4 years ago). I've never done chili dogs too... what a great idea! --Pizza Ranch?? What is this place?? I must find one ASAP! --I also got just about all my Christmas shopping done this weekend (just need to do stockings and a couple random gifts). I did it all online, while watching Christmas movies on the Hallmark channel! --Have a wonderful week!! I'll check out your IG! Disney IGs are my favorite! love the chili tradition. We love chili. Too bad the weather is anything but. You date night meal looks so good. Comfort food, yes please! Uninterrupted married folks time is awesome too.